The Apollo series of ships that visited our moon was not only to look good with the public and to indicate the “advanced” than were few on our planet. In fact, the Apollo trips were among the most dangerous ever to have been made. That is one reason why not “return to the Moon”, the price and, above all, security. What you see is a picture taken by Apollo 10 of some curious formations existing on the moon, a few guns. Those guns, formerly thought they were created by “people” who lived on the moon but then it has been known that they are just old areas of lava. That is, are the ways of lava when the moon was geologically active (is now quite dead to deny it). 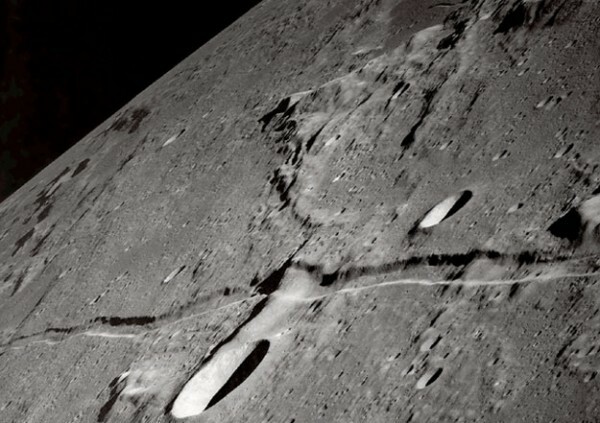 The strange formations pass between ancient craters active volcanoes probably formed when the Moon and the Earth and thanks to Sun’s gravity and between old and dormant volcanoes on the moon. So when you say that the moon has always been dead, it’s cheese or the “empty” (as I read one), you can say it has not always been so and it was very live.